As reported in last night’s Evening Telegraph, I have welcomed a decision by the City Council and Tayside Contracts to give greater priority to footpath gritting beside a busy nursery school close to the West End Ward. Law Nursery School in Campbell Street is near to the West End Ward, and as a result, children who live particularly in the north of the West End Ward make use of this excellent nursery school. However, constituents of mine whose children attend the nursery complained that the pavement right outside the nursery in Campbell Street was not a priority route for winter maintenance, although other nearby streets such as Gardner Street are. I therefore highlighted to the City Engineer the need to ensure that this pavement was given priority in future given the number of very young children using it to enter the nursery and the hilly nature of Campbell Street. I view this as a sensible decision that will benefit the nursery school pupils and their parents. Although we have thankfully, thus far, seen a relatively mild winter, in future having this stretch of pavement next to the nursery getting priority winter maintenance will assist in bad conditions. This morning, I had the pleasure of meeting parents of children at Law Nursery; they are very concerned at SNP plans to close the nursery on its long standing and highly successful site and relocate it within Rosebank Primary School. I accepted a petition with 1161 signatures on it – an indication of real concern about SNP plans. I delivered this to the Director of Education later today. Tonight, we unfortunately saw the high handed arrogance of the Dundee City Council SNP administration at its worst. Bowing to public pressure, they withdrew their paper to close Law Nursery from the Education Committee but refused to give parents and the Education Committee any reassurance that the report will not come back and that the proposal is permanently dropped. I have called on the Education Convener Liz Fordyce to stop this unfortunate approach and give parents a categoric assurance that she has dropped the closure proposal permanently. I spoke tonight to a parent leading the campaign to save the nursery on its present site and although she had been advised that the item was dropped from tonight’s committee, no assurance was given that the proposal has been permanently abandoned, as parents demand.Tonight saw the SNP administration rather lose the plot. Some members of the public were denied access to the meeting and the Education Convener failed to give any reassurance to members of the Education Committee over Law Nursery. 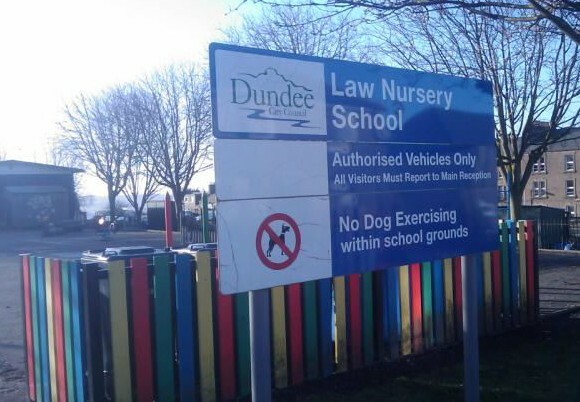 I ask Mrs Fordyce to give a clear and categorical assurance that the SNP has permanently dropped its plans to close the Law Nursery facility and move provision to Rosebank Primary School. It is not what parents want and its about time Mrs Fordyce started listening to them.